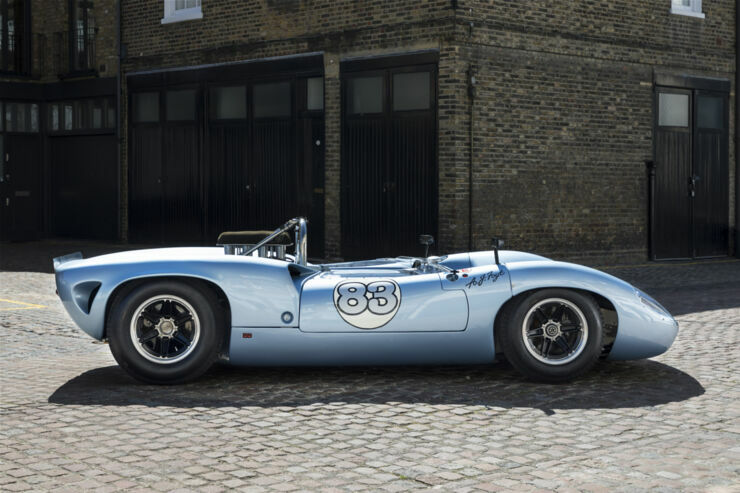 The year 1966 saw the inaugural Canadian-American Challenge Cup which is where this Lola T70 MK2 was driven by the legendary A.J. Foyt. 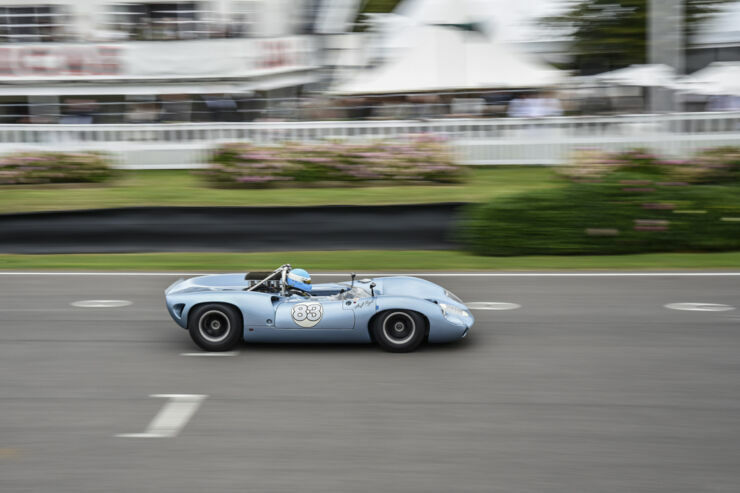 Known as the Can-Am at the time the race was a brand new championship, governed by rules that allowed for unrestricted engine capacity and few other technical restrictions. It meant that the race was home to some of the most powerful racing cars ever, and massive crowds gathered to watch. 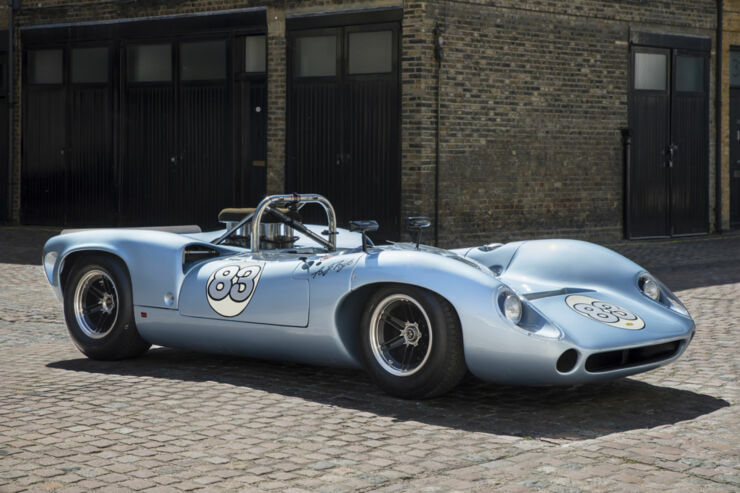 The 400 bhp 1966 Lola T70 MK2 Spyder was originally purchased by Goodyear who entered it in the 1966 CanAm Series​ for Foyt to drive. It was here that this car started to make it's mark in professional racing. Foyt then went on to race the car at Riverside and Nassau in 1966, where Foyt took the first overall finish in the Nassau Classic with it. He is the only driver to win the Indianapolis 500 (which he won four times), the Daytona 500, the 24 Hours of Daytona, and the 24 Hours of Le Mans. The following year in 1967 the Lola retired from professional racing and was then sold to another driver, Bob Bondurant. Bondurant leased the car to Universal Studios and it was used in the Paul Newman movie Winning which came out in 1969 and was about a race car driver who wants to win the Indianapolis 500. 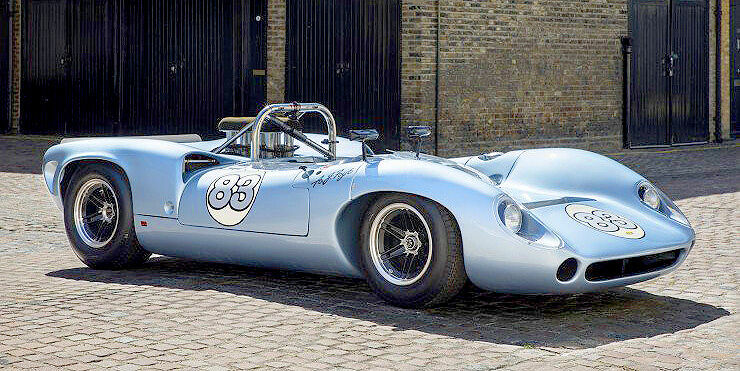 That's not the only time a Lola T70 MK2 Spyder appeared in the movies either. 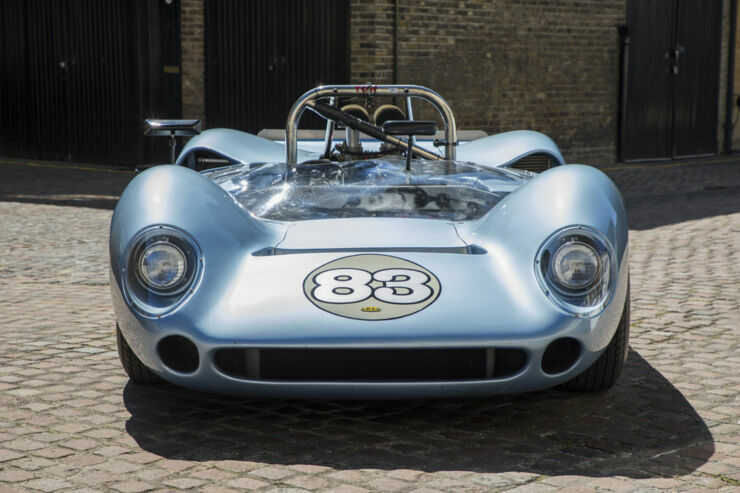 Other films that the Lola T70 series was in (not this particular car though) was the movie Le Mans starring Steve McQueen, where it was disguised to look like a Porsche 917 and Ferrari 512. And in George Lucas' THX 1138 a Lola T70 was used, with a siren added to turn it into a futuristic police car. 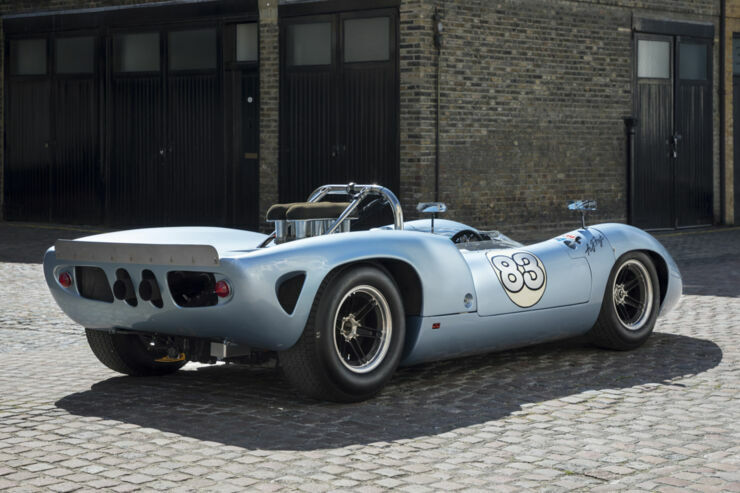 But now the 1966 Lola T70 MK2 that A.J. Foyt raced has been rebuilt and restored to its original glory. 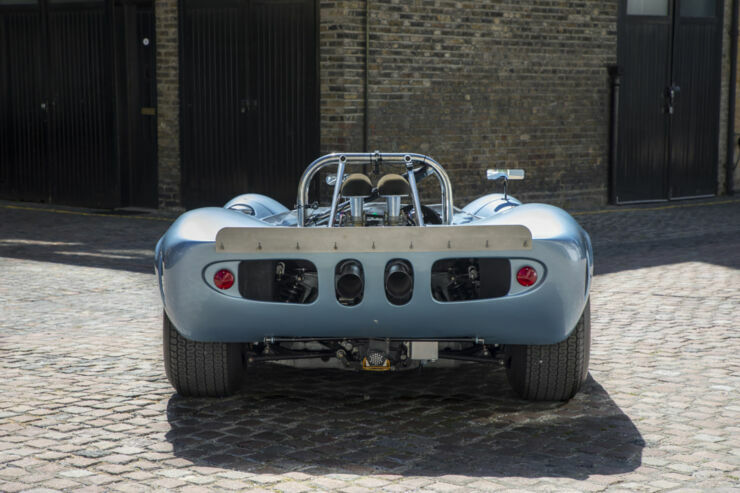 So it's primed and ready to take to the track once more, fully equipped to deal with vintage racing events including the Goodwood Revival. Check out some pics of this beautiful car below. Find out more and enquire about buying it at Fiskens website.